Isabela was created in 1997 when my journey to source a truly unique cigar experience led me to the sun-beaten streets of Old Little Havana, Miami. That's where I met the legendary Cuban Master Vicente Ortiz. 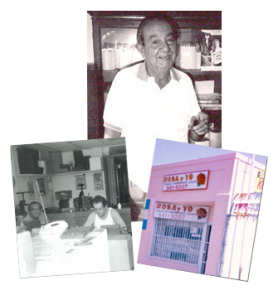 The rich sweet smells of fresh tobaccos and chatter of ex-pat Cubans in and around his small, gated pink "fabrica" on Flagler street was the perfect setting for Vicente to tell me the history of his cigars. He also mixed in more than a few stories about his life as a young man in Cuba, and our conversations transported me back to a very special time when pride and devotion to craftsmanship truly meant something. Over several years, Vicente mentored and taught me about the inner workings of cigar making, and the art of combining, priming and aging various tobaccos to create the unique identity and magical profiles of the Isabela cigars that we created together. Now in 2015, we have carefully and meticulously ramped up production to make Isabela available nationwide. Isabela cigars are rolled by one of six pairs of level 9 + Cuban Master rollers, each with over 30 years of experience. We utilize traditional Cuban methods of artisan custom master rolling, each finished in tres capa and sealed with a sugar-based sealant. We offer our Isabela cigars in five standard sizes, complimented by limited seasonal releases. We truly hope you enjoy the flavors, personality, history, and the unique identity of the cigars we have created — from the sun-to-seed, stem-to-leaf and to our souls.